Description: Caliber: .50 - Barrel: 33.5 Octagonal Fixed Tang - Twist: 1:66 - Trigger: Brass - Sights: Fixed/Blade - The Kentucky rifle matches classic beauty with outstanding performance. The octagonal barrel is rifled 1 in 66'' for patched round ball loads.The long sighting plane between the blade front sight and fixed notch rear adds precision shooting accuracy. The color case-hardened lock features a V-type mainspring for fast lock time. The full length two-piece stock of walnut-finish hardwood is accented by solid brass furniture. 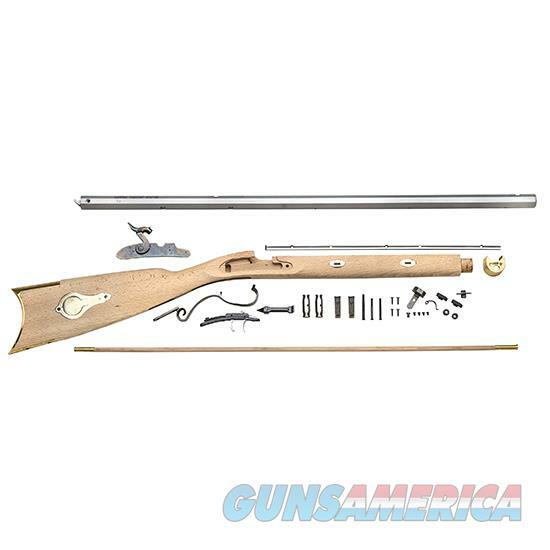 Also available in a flintlock model and kit form.